Following Haiti's earthquake in 2010, several organizations in the WELS (Wisconsin Evangelical Lutheran Synod) responded with disaster relief and gospel outreach. These efforts include nutrition programs and health care for eight orphanages. Lutheran elementary schools were established at three of the orphanages. 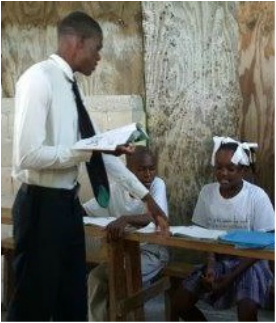 In 2015, responsibility for ongoing operations of the schools was transferred to Branch Lutheran Schools of Haiti, Inc. a para-synodical, non-profit organization. The group has funded the schools since October 2015 and is committed to faithfully continuing and expanding the work in Haiti. Currently, 654 students are enrolled from the orphanages and their surrounding neighborhoods. Instruction is provided for children preschool through grade six. Our goal is to add more classes so children continue to receive education through age 18 when they must leave the orphanage. Our orphanage directors are enthusiastic about the positive impact on the children and their community! 1. 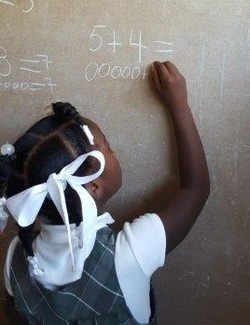 Provide a pre-kindergarten through sixth grade Lutheran education for orphans and neighborhood children. 2. Identify children with the potential for maturing into called workers. 3. Plant Lutheran congregations in the neighborhoods around the schools to further support the schools and spiritually benefit the community.